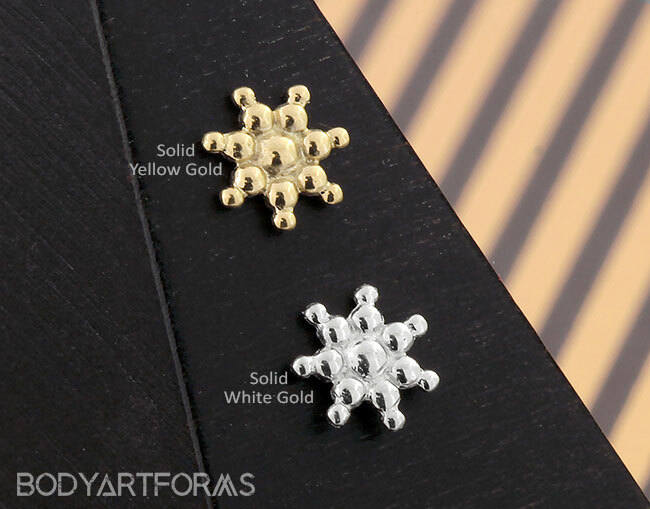 Stay cool with these snowflake inspired Frozen winter ends from Tawapa. Made with love from solid 14K gold in a convenient threadless design. The Frozen threadless end is available in solid 14K yellow gold, rose gold, or white gold with a stainless steel threadless post. The Frozen end design measures approximately 6.5mm in diameter.